The whole team of the Mercure Mulhouse Centre will be pleased to welcome you in a warm & friendly atmosphere. We will be happy to accompany you throughout your stay whether for business or leisure purposes. 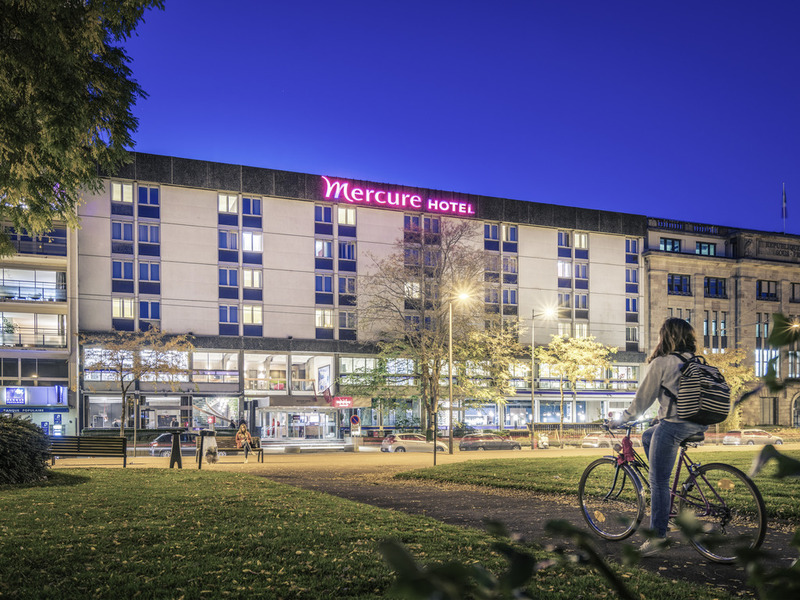 In the heart of Mulhouse, the 4-star Mercure Mulhouse Centre hotel welcomes you opposite the Rhin-Rhône TGV train station and in direct proximity to the tram to facilitate your leisure and business travel in the city. Combining a sense of service and a contemporary setting, this fully renovated Mercure hotel is sure to impress, while our staff will help you discover our culture and gastronomy. When the summer comes, guests can also enjoy our new terrace. In the heart of Mulhouse and close to public transport, this Mercure hotel is perfect for visiting the city and the surrounding area on the wine roads of Alsace. Also explore Fritz Schlumpf's famous collection of cars at the Cité de l'Automobile. Ideal for a getaway in Basel, in the Black Forest or on the Alsace Wine Route. Choose from a range of room categories: the renovated Superior Room (double bed or 2 single beds), the Standard Room, or modular Privilege Room with a higher level of comfort (double bed or 2 single beds). Lounge "MH" is a warm & friendly bar-restaurant. Come share a relaxing moment with friends over a drink enjoying our "snacks"! Come "Woker" for lunch & dinner! Our team is waiting for you!